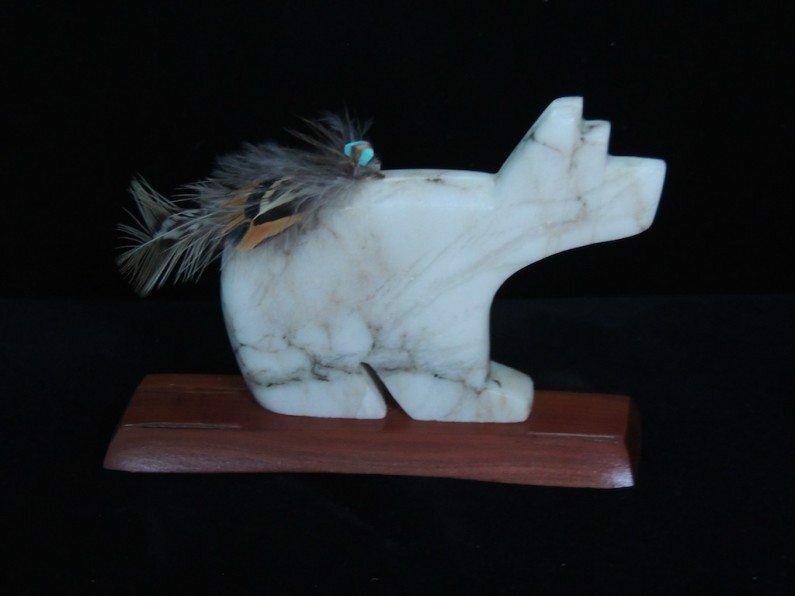 Spiderweb Alabaster Medicine Bear Fetish 4. $60. SOLD. Jeremy Gomez (Taos Pueblo) has coaxed a tiny spirit bear out of beautifully wintry spiderweb alabaster. As a medicine bear fetish, he carries a bundle of feathers topped by a turquoise nugget. He’s balanced atop a red cedar base; both stone and base are oiled to preserve the materials. 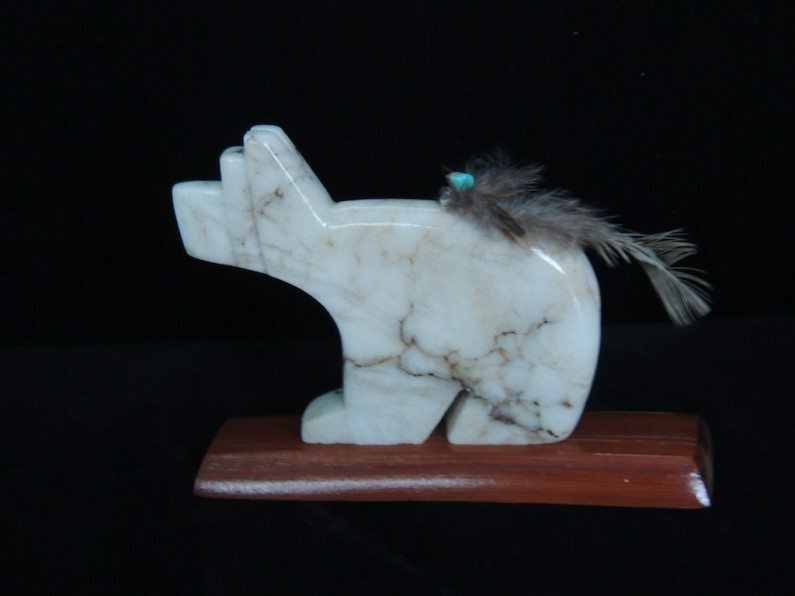 Bear stands 3-3/8″ long (excluding feather length) by 2-3/4″ high; base is 4-1/8″ long and adds between 1/4″ and 3/8″ in overall height (dimensions approximate; base has a slight gradient, with the bear balanced to stand upright). Posted on Sunday, January 4th, 2015 at 3:48 pm. Filed under: Fetishes	RSS 2.0 feed.